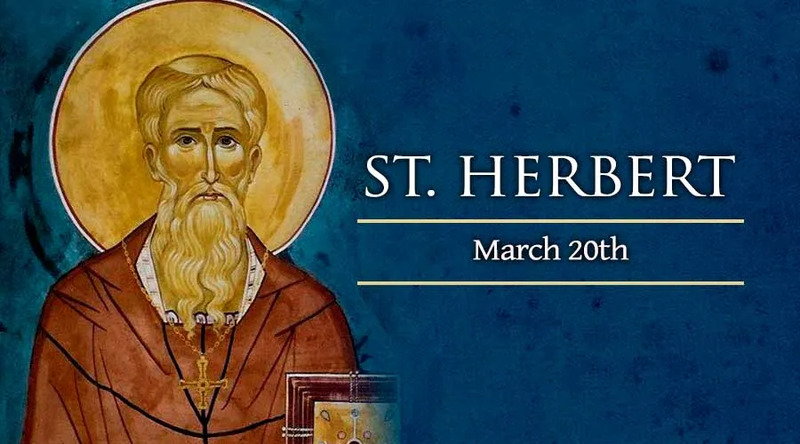 Not much is known about the life of St. Herbert, other than he was a Hermit of England and a good friend of St. Cuthbert. Herbert was a priest, and lived as a recluse on an island in Lake Derwentwater, England which later became St. Herbert’s in his honor. Herbert had asked to die on the same day as his dear friend St. Cuthbert, and God granted Him the fulfillment of that desire.